I'm going to stray off topic this morning for The Fit Dish to check-in with my progress with the Bikini Series 8-week challenge. 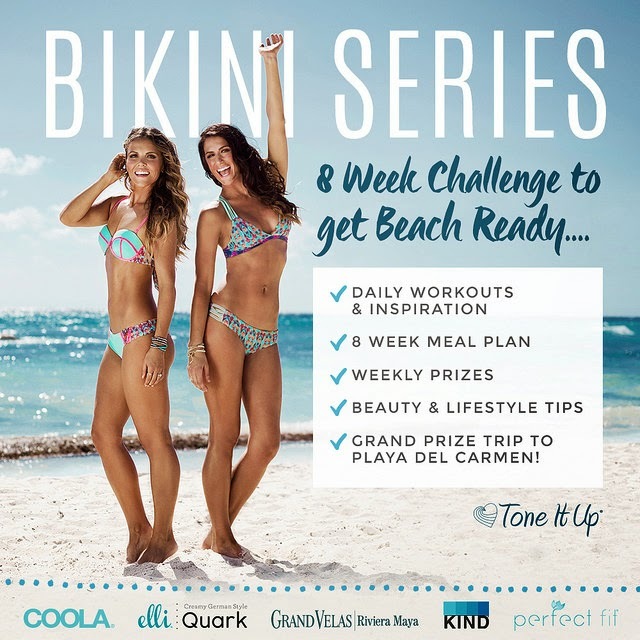 I kind of just jumped right into this challenge with no idea of how it was going to go and no real experience following a plan with the Tone It Up girls. I'M HAVING SO MUCH FUN WITH THIS CHALLENGE! I've been pretty good about following their workout plans for weeks 1 and 2. I'm not so good about following their evening challenges, which are more mindful and less physical. Easier for me to skip. One of their evening challenges the first day was to write some goals for the 8 weeks. I drew a blank and skipped the goal setting. 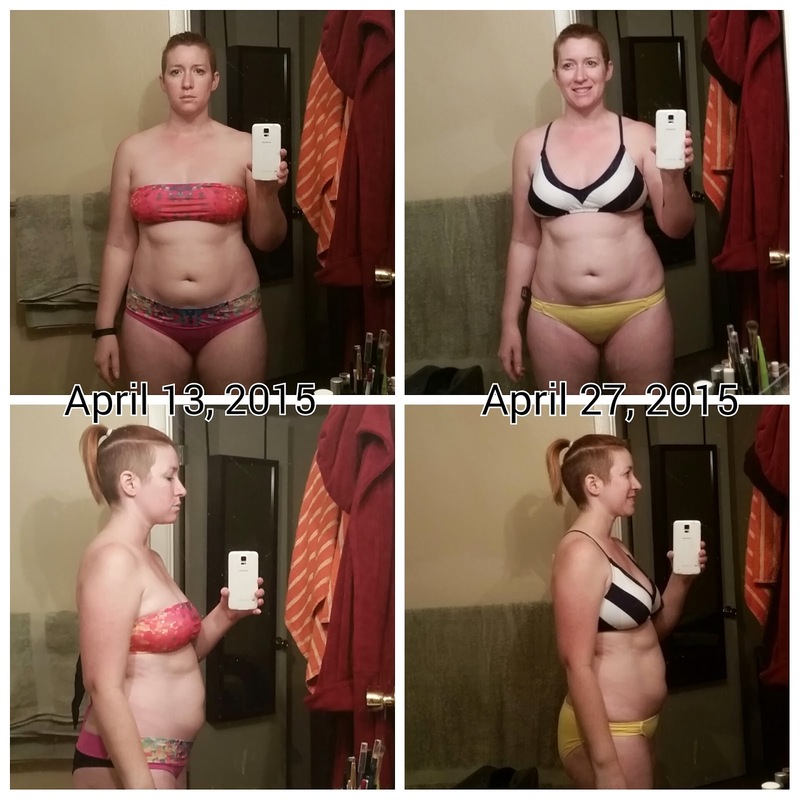 I wasn't sure what I wanted to accomplish - other than to look better good in a bikini. After following along for 2 weeks, here are some goals I've come up with for the remaining 6 weeks. I'm loving all of the HIIT videos I've tried so far, but they are a struggle for me! Especially when they throw in burpees. I would love to be able to HIIT it up without any pause or mini breaks. I'm really pleased with my results so far after the first 2 weeks, and I'm excited to see how it all comes together by the end! Now, the actual topic for The Fit Dish today is What Makes a Woman Inspiring? I think it's a great topic, so now that you've read all about my #BikiniSeries progress, go check out our hosts Jill Conyers at JillConyers.com and Jessica Joy at TheFitSwitch.org to read all about how women find women inspiring. You're doing awesome! And, you have gotten me REALLY curious about their program, especially with the mental/mindful challenges. Way to go setting such specific goals. It will not only give you better results, but you will feel even more proud when you reach them. You certainly inspired me with this post! Go get 'em! Thanks so much, Jessica! 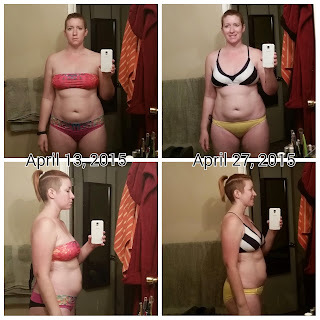 This is my first real experience with Tone It Up, but I think I'll probably do another challenge with them. Clarinda, you're doing awesome with TIU! I know I talked to you about doing the series but I totally forgot about it. Should I have received an email? No worries. I've been happily mixing up my workouts more than ever and loving it.